For me to read a book, it has to be one with very good reviews or recommend to me by close friends. My method of picking a new books is simple. I go to Goodreads, check my favorite categories and if a book has more than 4.5 rating, I know it's a keeper. I know a lot of you will disagree with my method by I really found some of the greatest books this way. On other hand, one of the most controversial books don't have high rating but they are a-must-read. For a lot of you it's also very important the price of the books because not everybody can afford $15+ ones. For all of you kindle readers, I have a list for you. 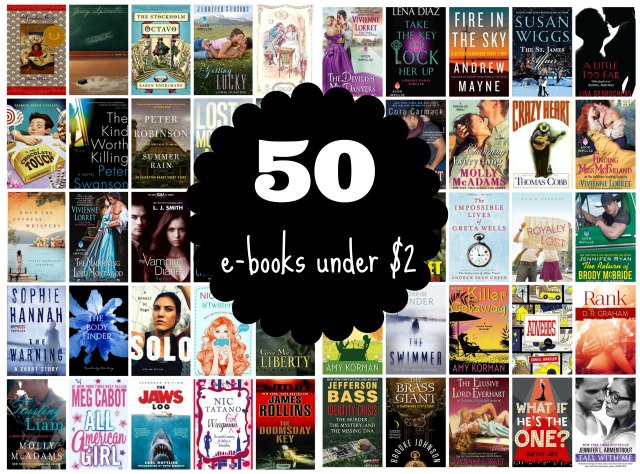 All of the e-books on the list can be found on Amazon under $2. Mind you the list is made on 26 July so the prices may change after some time. If there is a price change or you just have more e-book suggestions you can post in the comment section. This year I have a goal to read 40 books including some of the list above that I haven't read. I will make reviews for all the books I love this year.